Royale has a Spring Giveaway on now! 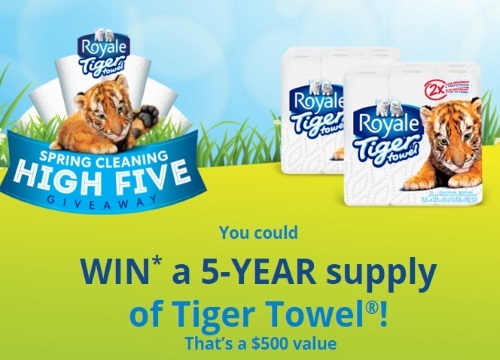 Enter to win a 5 Year supply of Free Royale Tiger Towels (a $500 value)! There will be 10 winners chosen. Limit 1 entry per person, per day. After entering you will also be given access to an exclusive $1 off Royale tiger towels coupon (this is a print coupon). Contest closes May 3, 2016.